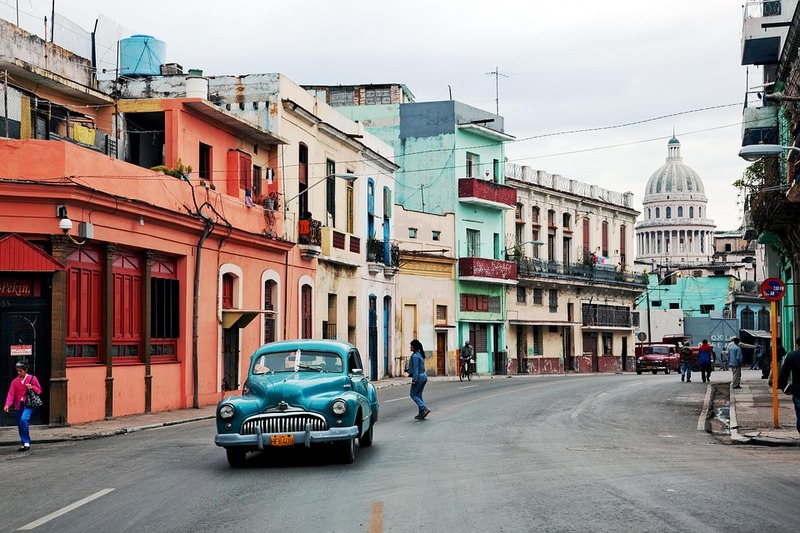 A trip to Havana feels like a trip back in time. The capital city is beautiful not because of its modern amenities, but rather because of its well-preserved classic architecture, its retro ambience, and the friendly people. The weather in Havana is also perfect most of the time, which means you’ll have plenty to explore while visiting the city. Havana has a lot to offer too, including museums to explore, markets to sample, and of course the gorgeous beaches that you’ll adore. The only thing you need to have fun in Havana is, well, you, and maybe some great travel companions. To enjoy the best of Havana, here are some top travel tips and tricks you need to know. The city of Havana is best explored on foot. In fact, Havana is a lovely place for long walks, especially if you are exploring areas like El Malecón and Old Havana. Walking lets you soak up the ambience of the area perfectly. It also lets you snap some gorgeous pictures for your Instagram account. Walking in Havana is also enjoyable because of the friendly people you will meet along the way. Many of them don’t speak English, but the ones that do will help you with your questions. In some cases, giving something in return for the help you receive is highly appreciated. Speaking of giving something in return, the people in Havana love to trade. I know there is a big misconception about bringing pens to the city because they are popular for barter, but pens aren’t necessarily what you want to bring for the best experience. Candies and small toys are very popular among children. You can also bring extra T-shirts and other fashion pieces to give, including accessories. The most expensive gift you can bring is tinned tuna; it is also among the most expensive things to eat in Havana. The food in Cuba is not as spicy as you think. In fact, most of the dishes you will find in Havana will be rather bland and uninteresting. Due to the economy, Cubans are more frugal with spices and certain food items; this is the reason why tinned tuna is a great gift. The food isn’t bad, but it isn’t the best. I highly recommend bringing some salt and pepper with you when traveling to Havana. You can even bring some sauce – Sriracha or Peri Peri sauce works great with most dishes in the city – and you can then enjoy your meals more. Havana isn’t known for its modern amenities. You can get internet connection in some locations, but even the most expensive option is rather slow. Some hotels do offer free Wi-Fi connectivity, just don’t expect the connection to be good enough for watching a TV series on Netflix. Since there aren’t that many options when it comes to internet connectivity, it is a good idea to prepare for some offline experience while in Havana. Rather than relying on the online version of Google Maps, for instance, you’d be better off downloading the offline map of Havana to your phone. As mentioned before, going to Havana feels a lot like traveling back in time in the most charming way. A must-try if you are visiting the city is the Havana vintage car tours. You’ll be driven around in classic cars from the pre-Castro era of the 50s. Havana vintage car tours are easy to book online these days, so you want to secure your day tour before flying to the city. You don’t have to settle for a tour just around Havana, since there are different tour packages and destinations to choose from. Havana is heaven for those looking for unique travel experiences. You can stay in a resort or a hotel for the duration of your trip to the city, but the way to absorb the best experience in Havana is by staying in the city’s most delightful boutique hotels. You can still book a hotel for your first day in Havana, but spend some time looking for new hotels to try as you explore the city more. If you travel light, moving from a beautiful boutique hotel in El Malecón to another property in Vedado will be easy to do. Havana is also home to some of the most beautiful beaches in the area, so not hitting the beach while visiting the city is a mistake. Even when you don’t want to indulge in some water activities, you will find sitting by the beach with some friends to be fun. At night, the beaches in Havana are also home to exciting parties. In fact, the entire city lights up when the sun goes down. You will have no trouble at all finding local clubs, dance floors, and bars that will keep you entertained until dawn. The one thing you need to prepare for before flying to Havana is the bureaucracy. You have to be extra certain – and I do mean ABSOLUTELY certain – that your travel documents are in order even before setting foot in Cuba. It is also worth noting that flying to Havana is a lot easier today than it was a few years ago, but that doesn’t mean you should take preparing for the trip lightly. Unless you are a citizen of the 10 countries with good ties to Cuba, you’ll need a Cuba Tourist Card to enter. Cuba is a very pleasant country to visit and Havana is the perfect destination to try if you are looking for immense fun. There have been many misconceptions about Havana over the years, but you will know as soon as you land that the city has a lot to offer to travelers from around the world. The people are friendly, the scenery is great, and you now have the best tips and tricks to make the most out of your trip to Havana. Start planning your travel itinerary and have a lot of fun exploring this wonderous city! Cheap Essays vs Expensive Essays: What to Choose?